The first article of this series presented business processes as organizational assets that are central to creating value for customers. A company should 'take care' of business processes. 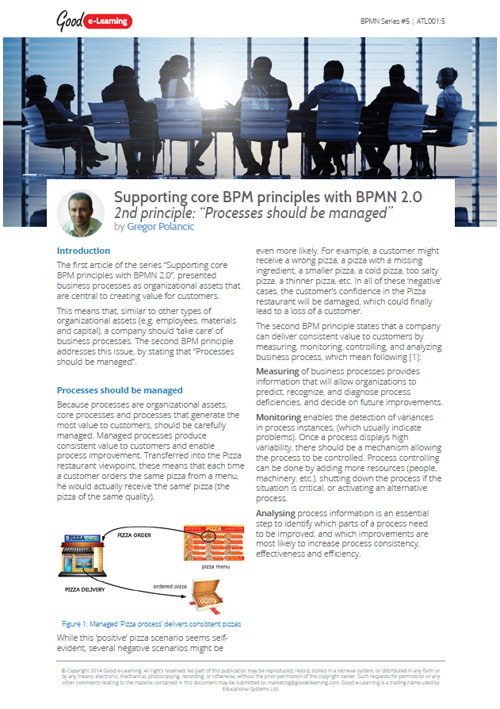 The Second BPM principal addresses this issue by stating that "Processes should be managed".